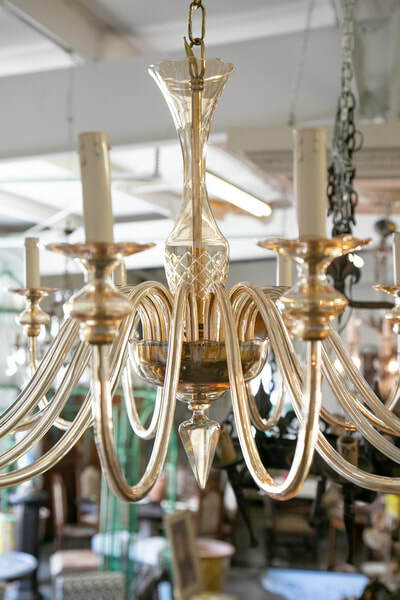 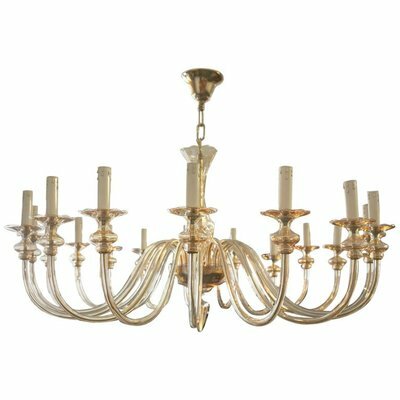 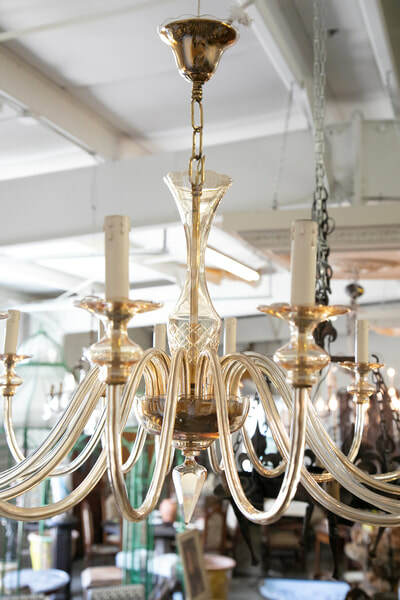 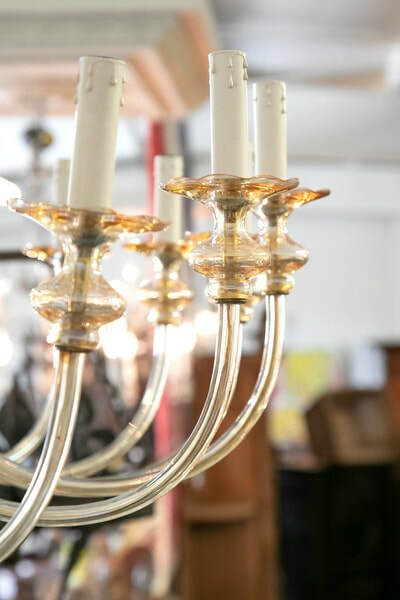 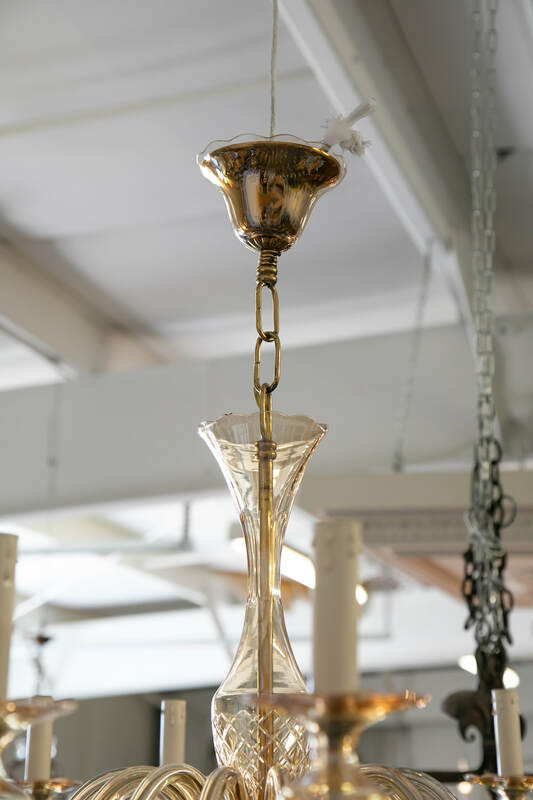 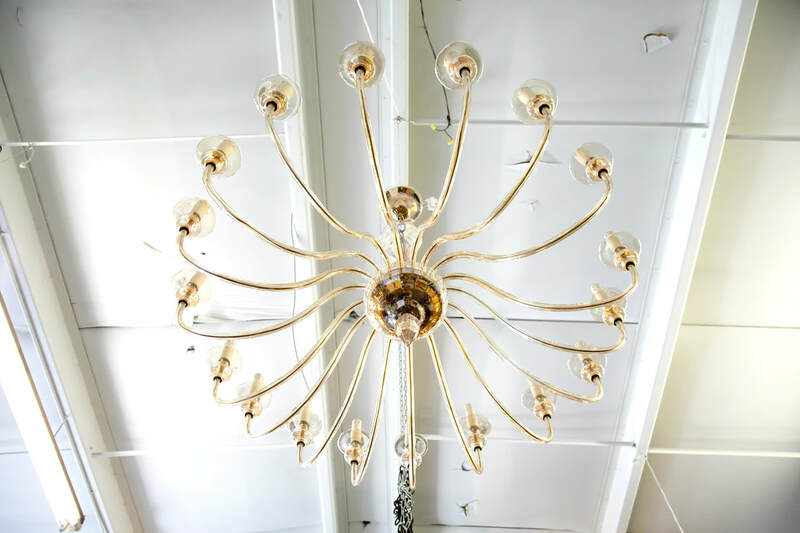 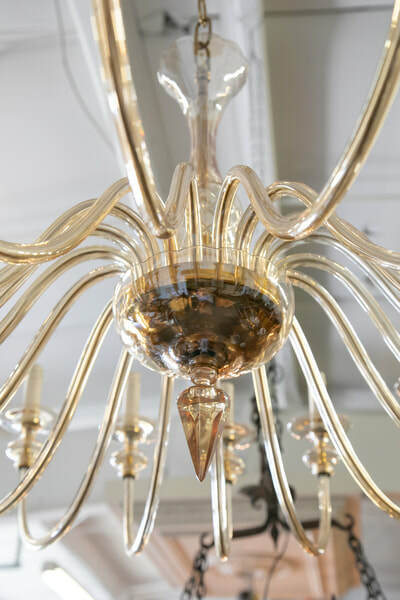 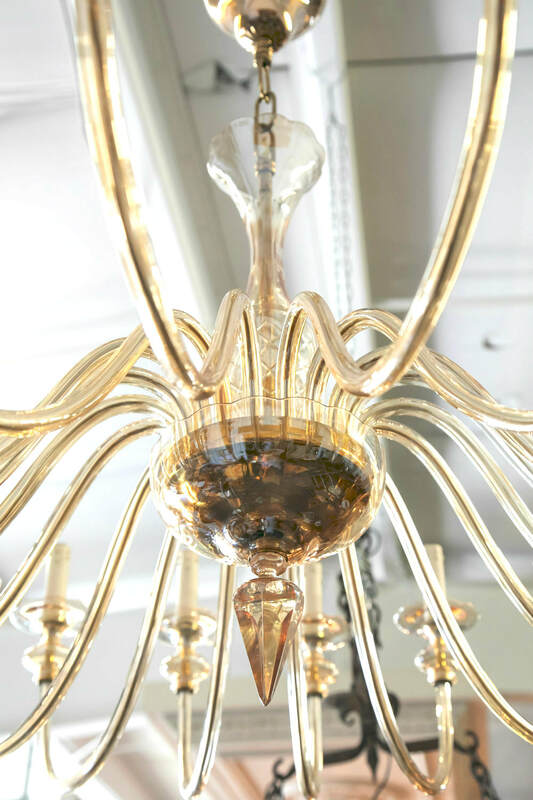 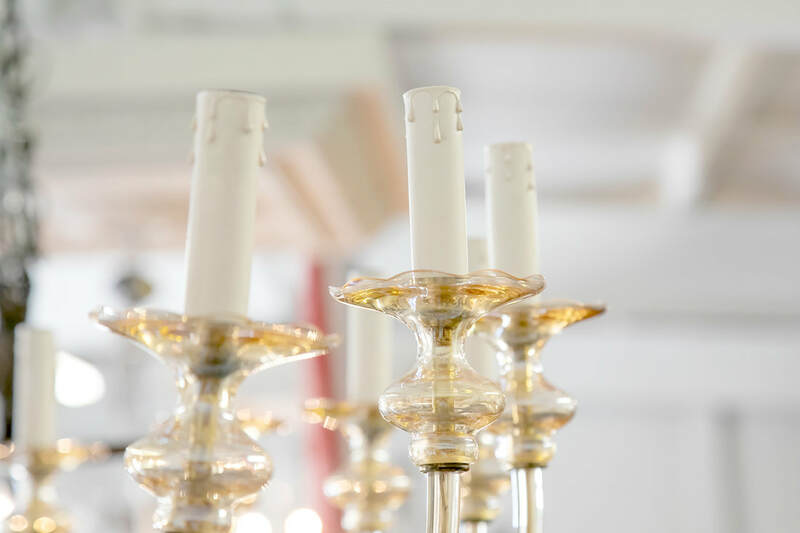 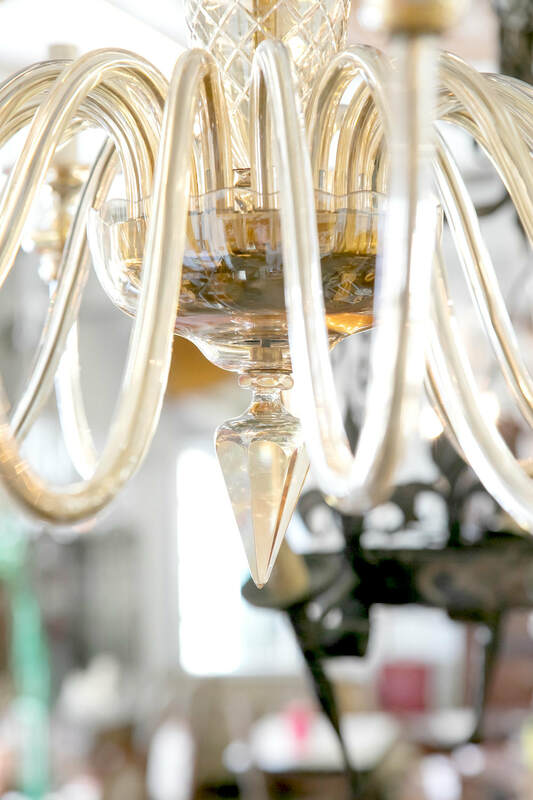 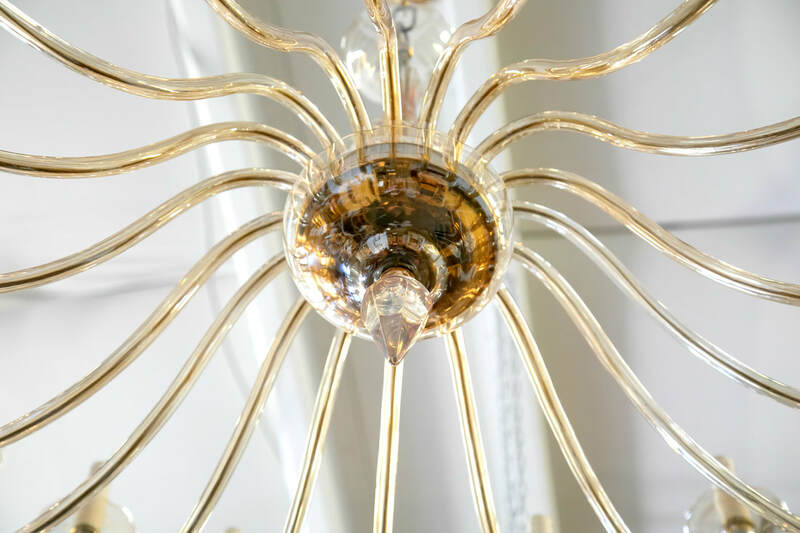 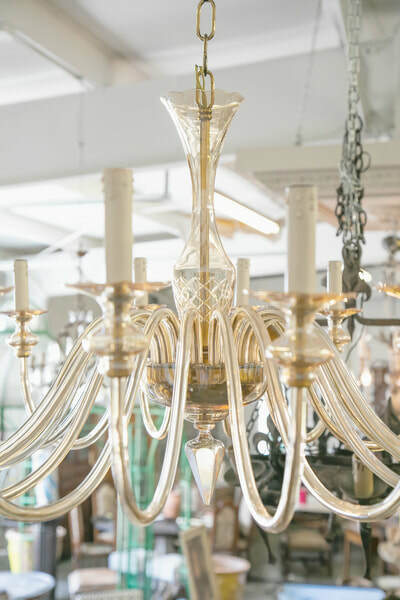 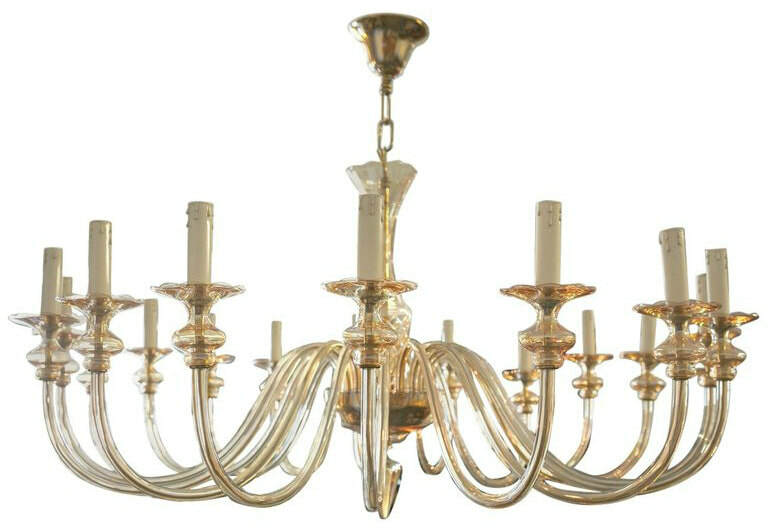 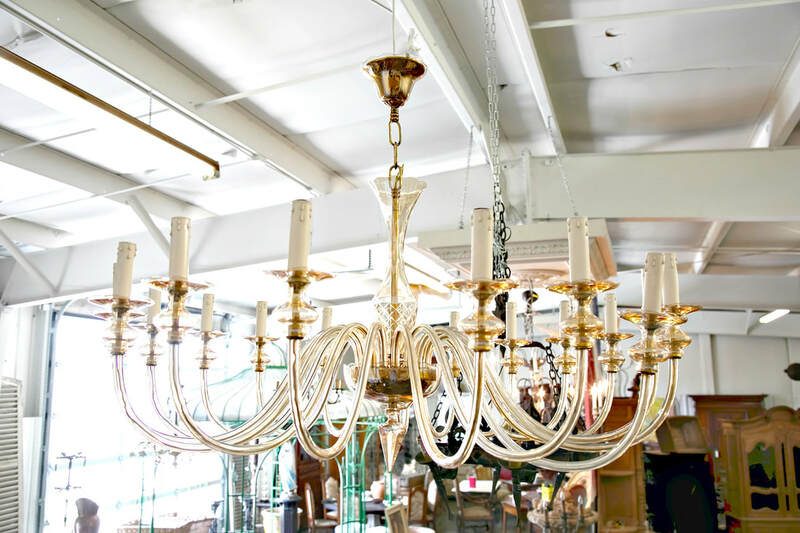 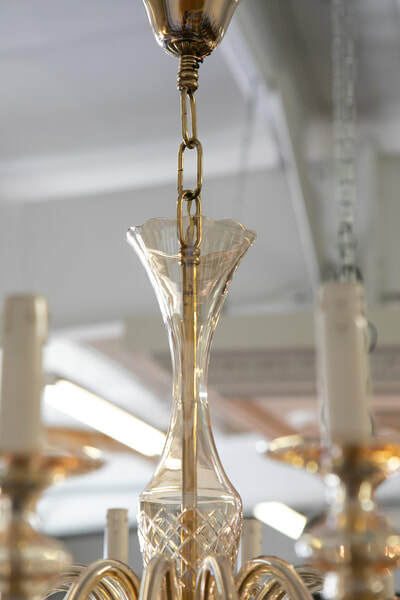 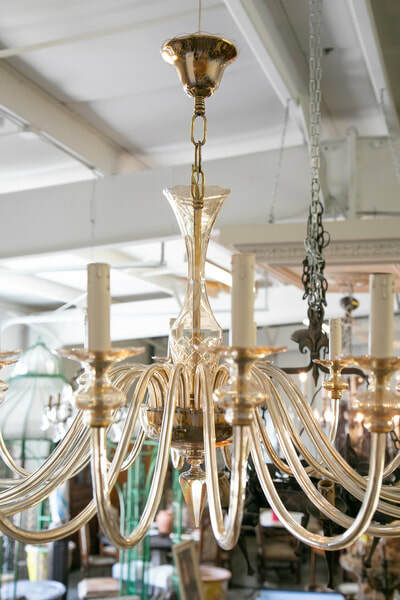 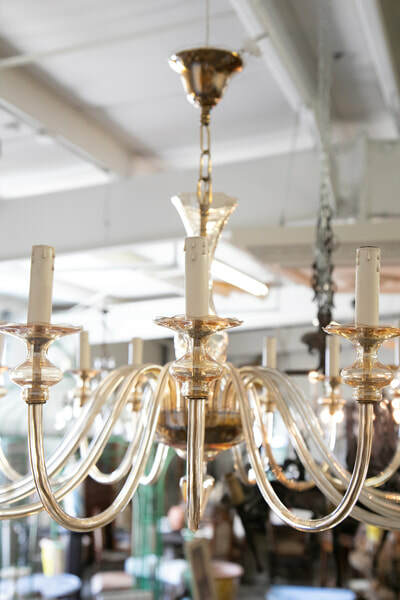 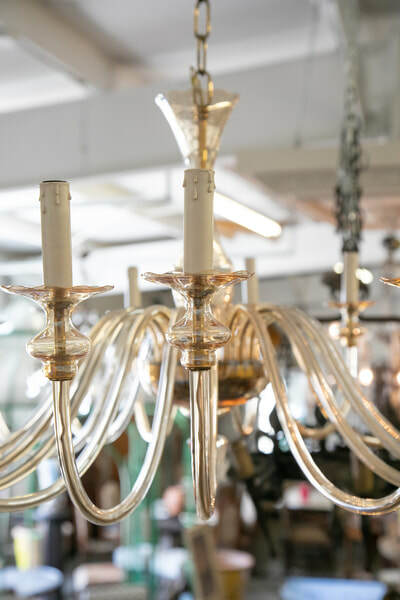 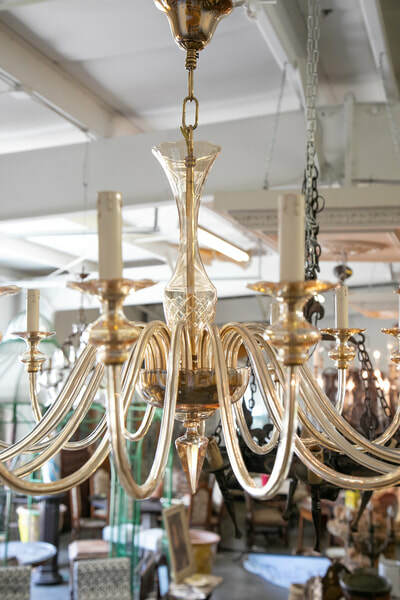 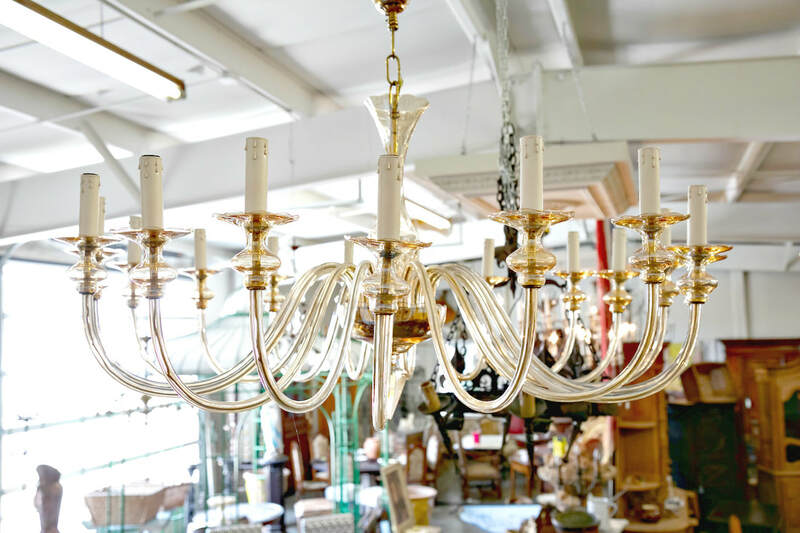 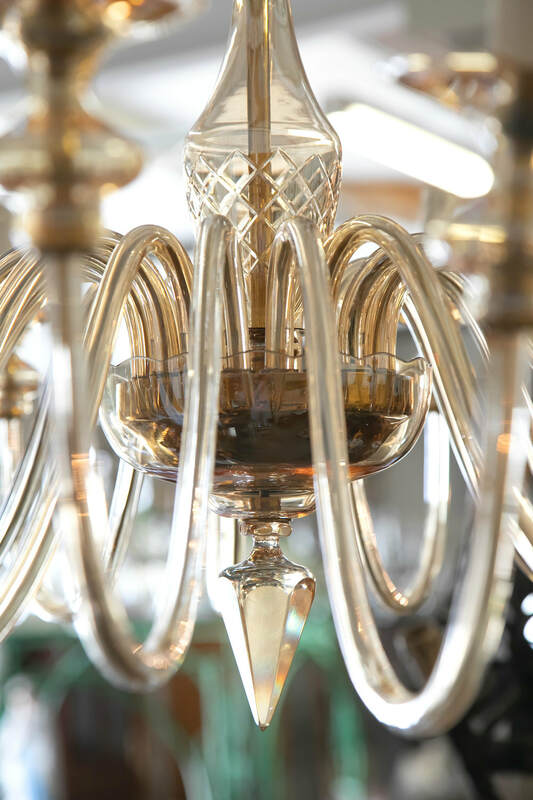 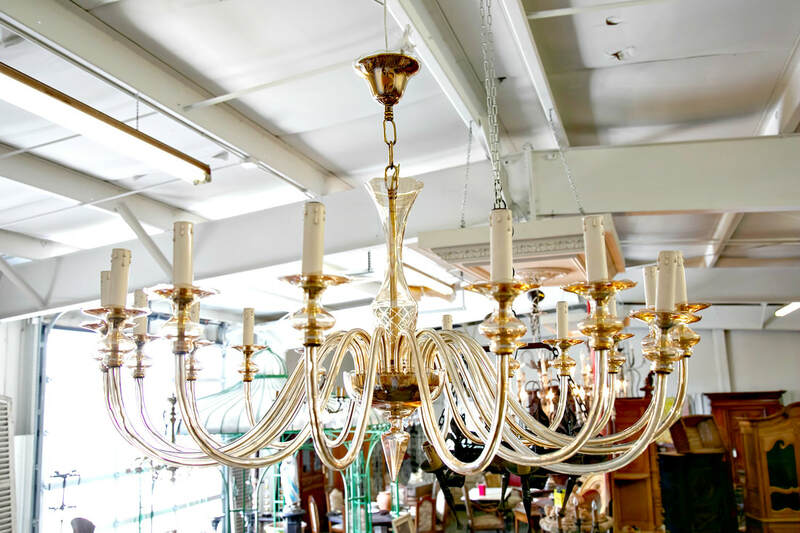 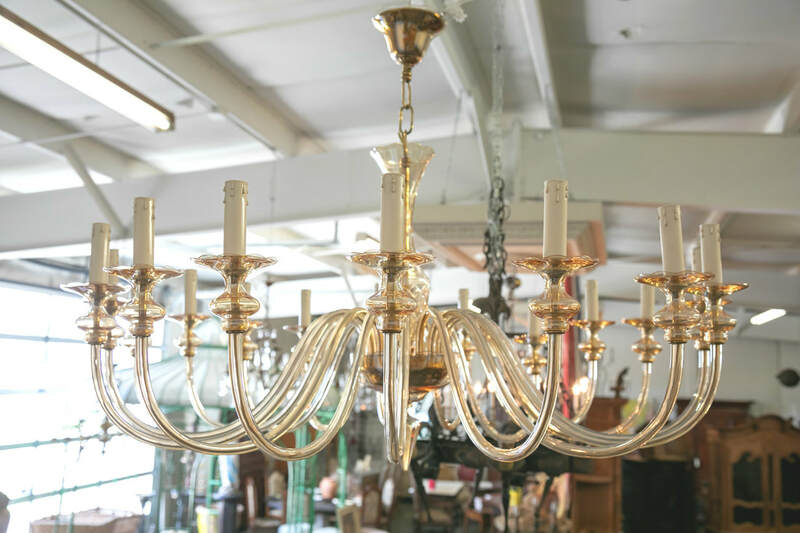 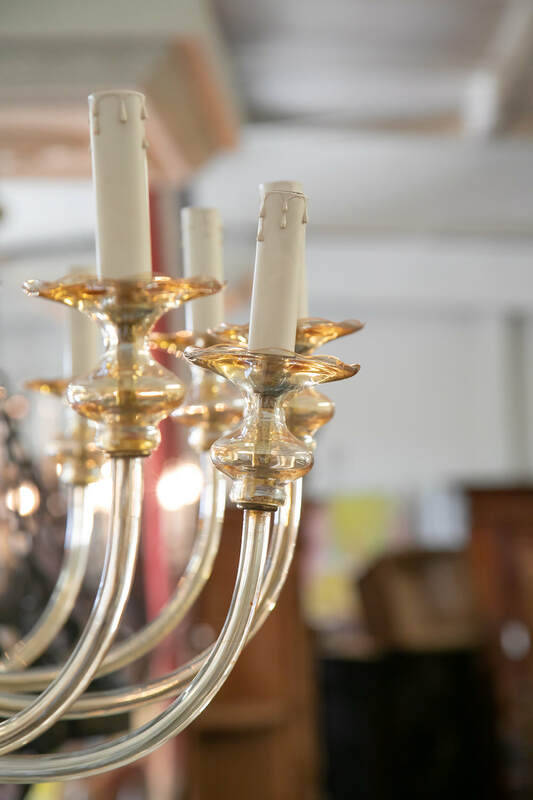 Stunning, handblown chandelier in the modern neoclassical tradition featuring eighteen scroll form arms, each ending in a bobeche, that connect to an inverted domed form and central etched body, all in champagne glass. There are brass fittings throughout. This is an exceptional example of Mid-Century Modern Italian design that would be equally ideal above a dining table or in an entrance way, as well as paired with any style of interior from classic Mid-Century Modern to contemporary to traditional. 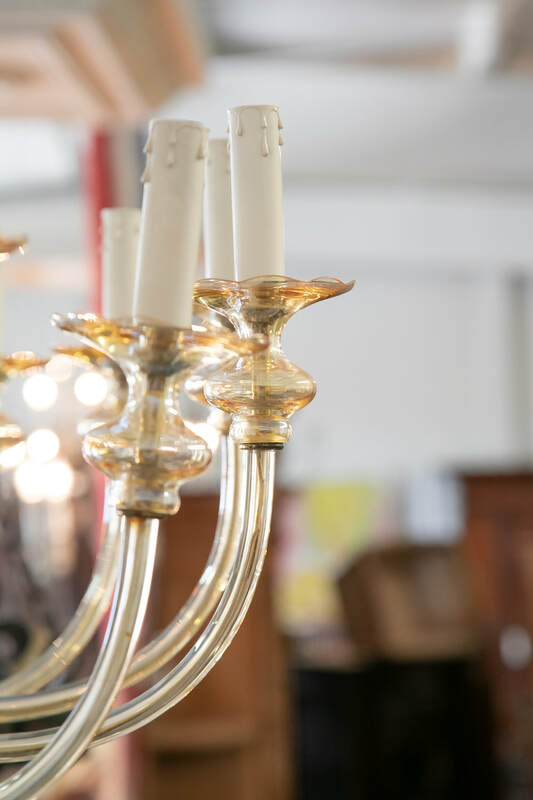 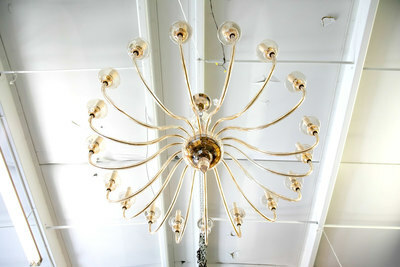 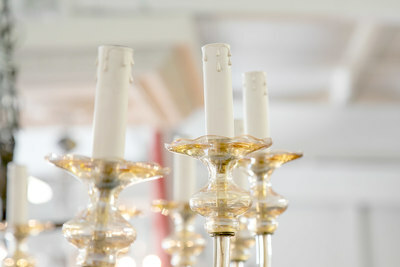 The chandelier will use 18 candelabra bulbs and will need to be wired to US standards.